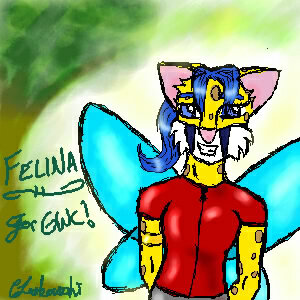 Felina from FaeryWarriors. Both are (c)Ghislain Deslierres.\r\nI made this for his birthday this year. Jesse and Marty, two of the characters from my BOOK, Firewalkers (in my Stories directory). This will happen later on in my book. So think of this as a teaser. Hehehe. ^_^v\r\n\r\nI did this whole picture on an online oekaki board, using two layers.\r\nI think it turned out rather well.. don't you think? 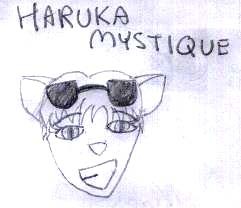 Another picture done on an online oekaki. 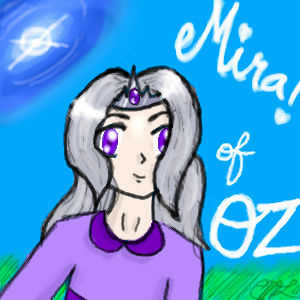 This is Mira, the Mirror Fairy. She is (c)Christopher Charles Douglas 2002, and the general Oz world is (c)L. Frank Baum. Even though Mira is from Chris' book, I am one of his official artists! Yay me! Created entirely in Photoshop 6. 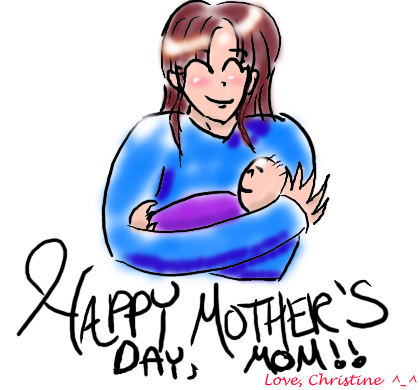 I made this for my mom ON mother's day, with the help of Quin (my Wacom tablet! ).